We have a remarkably myopic view of terrorist organisations. If they are not on our news channels, the assumption is that they have gone away. Yet the reality is that they are locked into struggles that they see on millenarian timelines in advance of God’s greater glory. 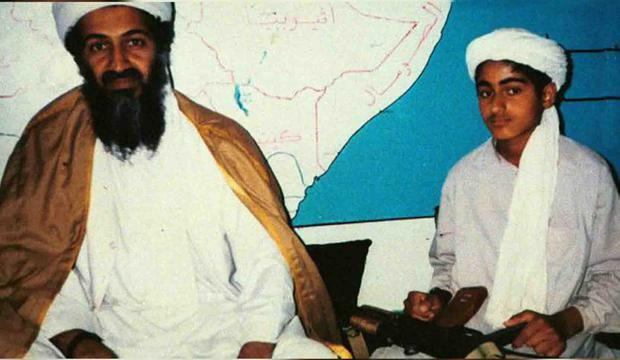 This is important to remember when thinking about the announcement of a US$1m bounty on the head of Hamza bin Laden – son of 9/11 ringleader Osama. Al-Qaeda has not gone away, rather it has seemingly chosen to refocus on fighting what it would describe as the “near enemy” of regimes in the Middle East, rather than the “far enemy” in the West who they see as supporting these apostate leaders in their neighbourhood. The decision to place a US$1m bounty on his head now is something which is more a product of our decision cycle than theirs. Why this is happening now is difficult to divine without deeper insights into the US government’s decision-making processes. It is possible that some information has emerged of him moving into a location where such a sum of money would make a difference in someone’s thinking. It is also possible that this is part of a specific push around him – two days ago the UN added him to its proscribed list and the Saudi government has now stripped him of his citizenship. As we start to move away from worrying about Isil, it could be a good moment to remind the world of someone identified by the UN “as the most probable successor of current al-Qaeda leader al-Zawahiri”. With Hamza now in his late 20s, al-Qaeda seems to have decided it is an opportune moment to elevate his profile within the organisation. A fresh face to counter al-Qaeda’s ageing Egyptian head Ayman al-Zawahiri, Hamza offers a link to the group’s golden era, and a leader still held in veneration by some followers. While yet to prove himself as a leader, Hamza can help refresh the organisation through messaging that is shorn of the in-fighting that plagued al-Qaeda during the early years of the Syrian conflict when it fell out dramatically with Isil. The bounty on his head will no doubt to some degree confirm his elevation among those interested in such ideologies – though it is worth noting that this is a fairly paltry sum when put up against the US$25m on offer for al-Qaeda’s leader al-Zawahiri or Abu Bakr al-Baghdadi, Isil’s leader. In fact, look at the US government’s rewards for justice page, and Hamza bin Laden sits firmly at the bottom, in a group all of his own. Raffaello Pantucci is Director of International Security Studies at the Royal United Services Institute.